The Gunners have taken just 19 points from their 15 Premier League away games so far this season, failing to keep a single clean sheet. 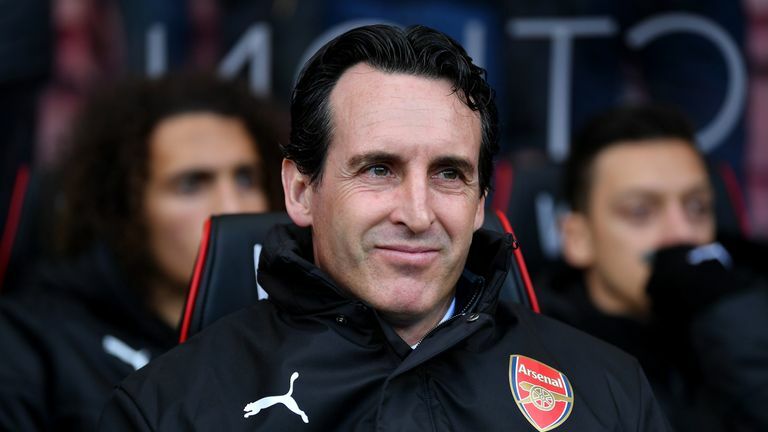 Despite those numbers, Emery insists his team do not have a psychological problem away from the Emirates ahead of their trip to Vicarage Road to face Watford, live on Monday Night Football. "We are playing to be in the top four. We are showing we are competitive with a good mentality," he told Sky Sports News. The Spaniard believes Arsenal's issues away from home are purely a matter of consistency and he hopes his side can answer their critics against Watford on Monday. "First the answer is natural. Usually every team takes more points at home than away. For us it is about being competitive," he continued. "We were improving our away points and performances from last year. We were being very competitive with different players and systems at home. "Away we are not consistent in each single match to take the three points with a big performance. "Each match is a big opportunity, Watford is the same. Their support and quality will push us. We need to prepare defensively hard and strong, like we are at home. "In the attacking moments we have to use the best possibilities to find chances to score." 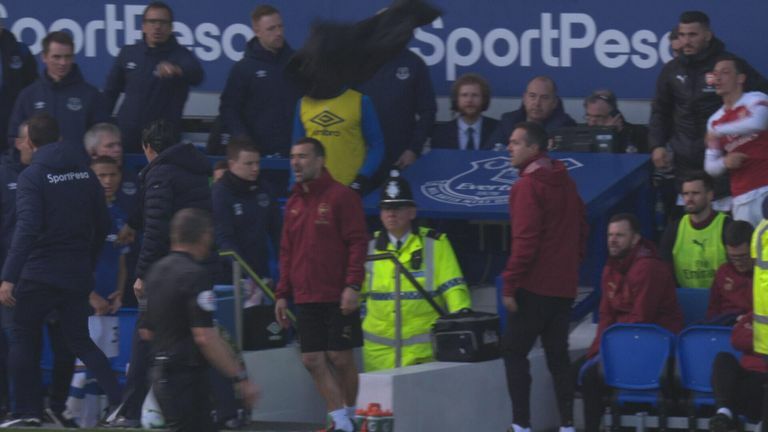 Emery, who is expecting a physical encounter against the Hornets, says he has no qualms about starting Mesut Ozil in such a contest and played down the German's coat throw at Goodison Park last Sunday. "You cannot play well or do well if you cannot deal with the physical. We won with Mesut Ozil being very consistent and being very competitive physically and with quality. "No, I didn't speak with (Ozil about the coat throw). He can be frustrated. We spoke in the dressing room about being focused when in the difficult moments we cannot win. We have to quickly change our minds and find the next step." The Arsenal boss was full of praise for Watford head coach Javi Gracia, a former team-mate of his at Real Sociedad, and picked out numerous players who will pose a threat in the match. "Javi Gracia is a very good coach. I know him, I am his friend and I respect him a lot. We played together at Real Sociedad," he said. "I appreciate his work and his preparation with his players. He develops each player a lot and with the team he can make them very organised. "We need to be strong defensively, they have very good players in the final third, with long balls and crosses. They have individual quality in (Gerard) Deulofeu and (Troy) Deeney. (Will) Hughes and (Andre) Gray can surprise the second line and get into the box with very good crosses from (Jose) Holebas and Kiko (Femenia). "They have strong defenders and a very good goalkeeper also. We need to battle for each moment, each metre for the 90 minutes." Emery confirmed Granit Xhaka was back in training over the weekend and should be fit for Monday night's game. Laurent Koscielny, Lucas Torreira and Sead Kolasinac will have fitness tests ahead of the game after picking up knocks in the Europa League win over Napoli last week.